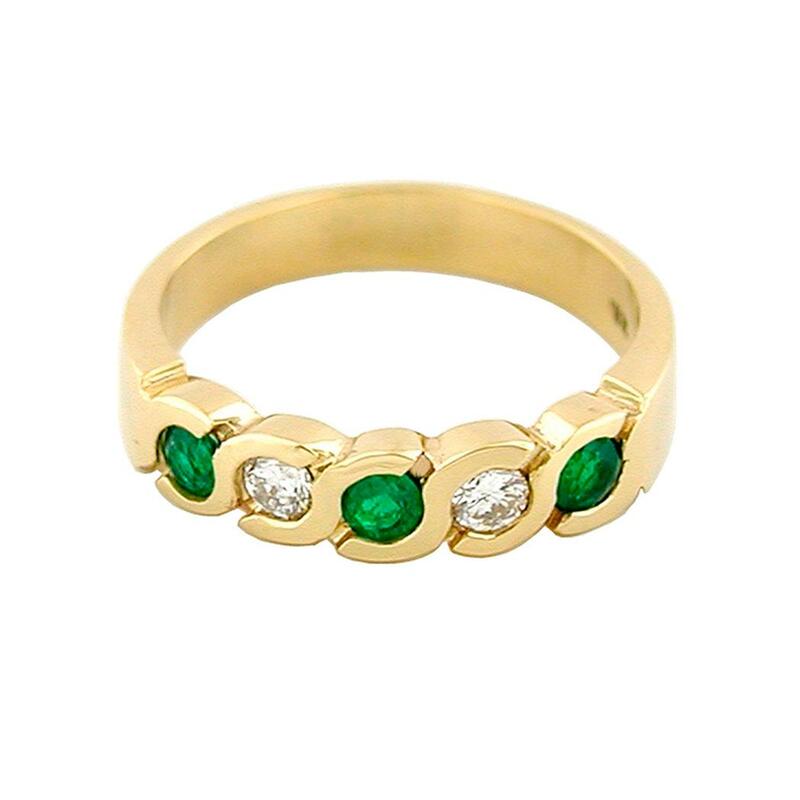 This wonderful emerald and diamond band ring is made in 18K gold, with a great selection of gemstones; three round cut emeralds with a beautiful deep and vivid green color, and two round cut diamonds in between giving a lot of glitter and a fantastic contrast against the material. All the gems are set in bezels that protect them in an excellent way, and also give a very smooth look to the whole ring. This allows you to wear this fantastic emerald and diamond ring everyday with the confidence that the gems will be always safe and beautiful. 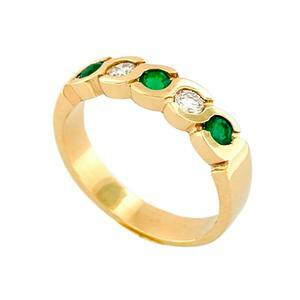 This wonderful emerald and diamond band is also available in white gold.